A patient with foot neuropathy has amazed me over the last 6 weeks by the improvement in his walking stability and his confidence with walking outside. When I first saw him, he was literally shuffling – or sliding – his feet along the floor with small steps while he walked and he teetered side to side. He was unable to leave the house without using his cane or holding onto his son. He honestly looked like he could have fallen at any time, so he was scuffing his feet along the floor for stability. He said he was afraid of falling, and quite frankly I thought his fears were realistic. After I performed his Initial Root Cause Evaluation, I discovered he had two main issues: BPPV and Foot Neuropathy. He was not aware of either problem. But when I treated him successfully for BPPV, he reported that his head was instantly less foggy and he could turn his head side to side while he walked without staggering or deviating from a straight path. Successful BPPV treatment yields instant results for many people. For others who have had BPPV for a long time, there can be feelings of residual imbalance for up to 12 weeks. In his case, he had instant relief from staggering and weaving with side to side head turns while he walked. He faithfully performed the exercises everyday as I taught him for 6 weeks and today his foot sensation has greatly improved. His ankle strength and stability is also much better. He has seen such great results with the program that he plans to continue to use the Bean Box to maintain his results as he continues to age. As of today, he is taking normal steps without ANY shuffling of his feet on the ground and he can turn his head side to side with no staggering. After a few months of being homebound, we were able to walk to the park near his house with NO assistive device and no assistance from a family member. He and his wife were laughing and crying at the same time as we celebrated his results! I think they realized how dangerous and serious his unstable walking had been and they were not aware that there was any hope to improve it! I have to say that days like today make me happy that I became a physical therapist who refuses to settle for the status quo. 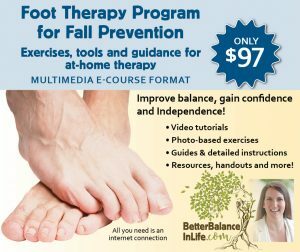 In order to make this Foot Therapy Program for Fall Prevention and Bean Box exercises available for people around the globe, I have created an online Multi-media E-course that instructs learners to perform the program, along with much more information about foot health. 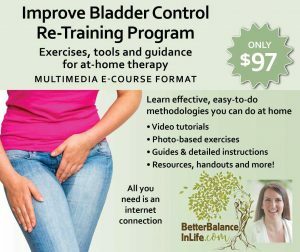 For more information about the Bean Box Exercise program, including videos and instructions on how to perform the program, click here. This blog is provided for informational purposes only. The content is not intended to be a substitute for professional medical advice, diagnosis, or treatment. Always seek the advice of your physician or other qualified health provider with any questions you may have regarding a medical condition. The details of any case mentioned in this post represent a typical patient that I might see and do not describe the circumstances of a specific individual. What is The Bell Method? 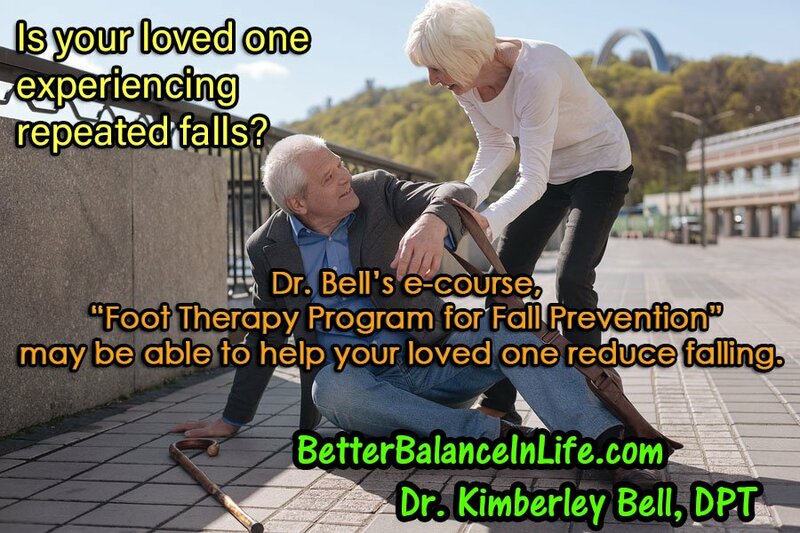 Enter your email to subscribe and receive notifications of new posts and helpful information from Dr. Kim Bell, DPT. Our content is provided for informational purposes only. This website is not intended to be a substitute for professional medical advice, diagnosis, or treatment. Always seek the advice of your physician or other qualified health provider with any questions you may have regarding a medical condition.